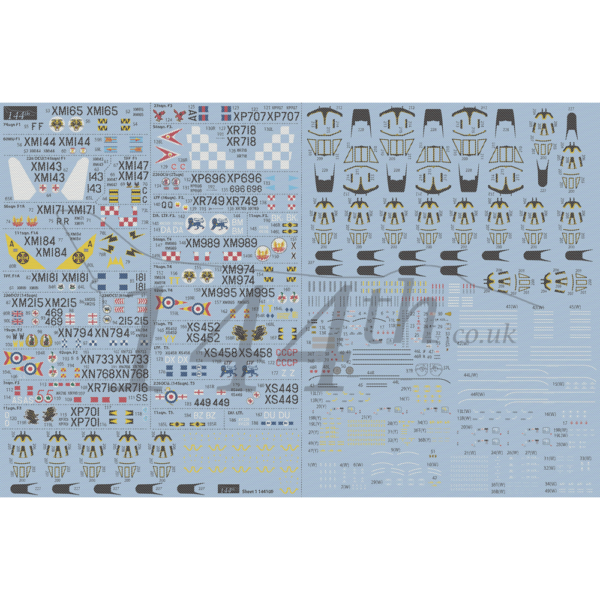 Price includes postage and packaging within the UK – simply enter code DECAL at checkout! 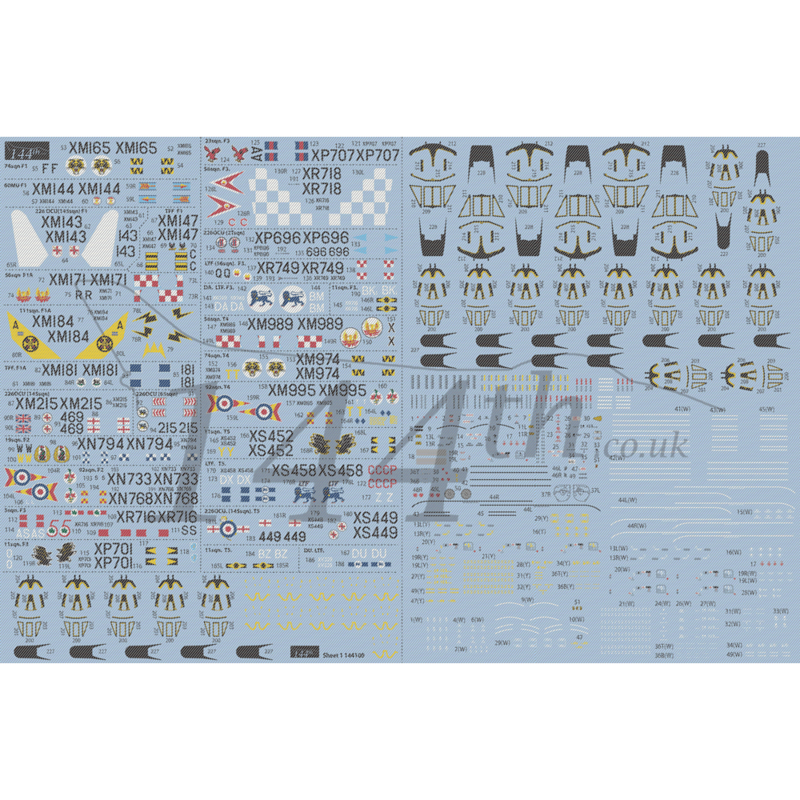 For Europe/international orders, please contact us for shipping costs otherwise the system will charge £16.50 postage. 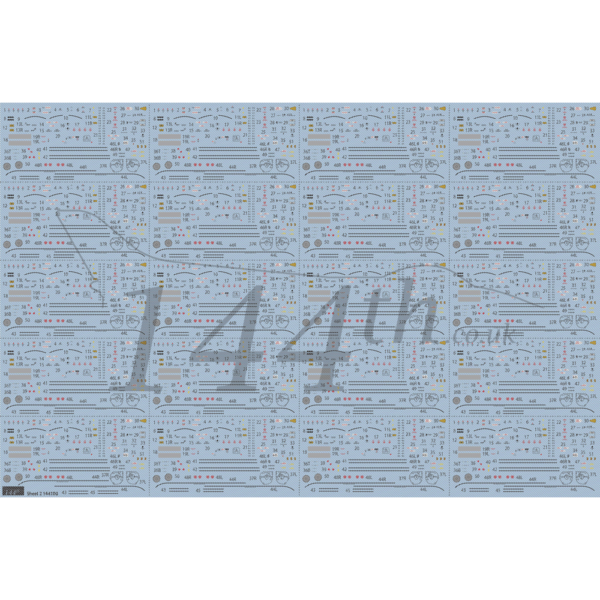 Note: This product is heavily watermarked. Mammoth E.E. 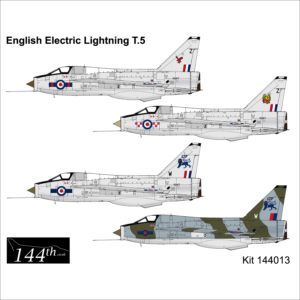 Lightning F1:F1A:F2:F3:T4:T5 decal sheet. 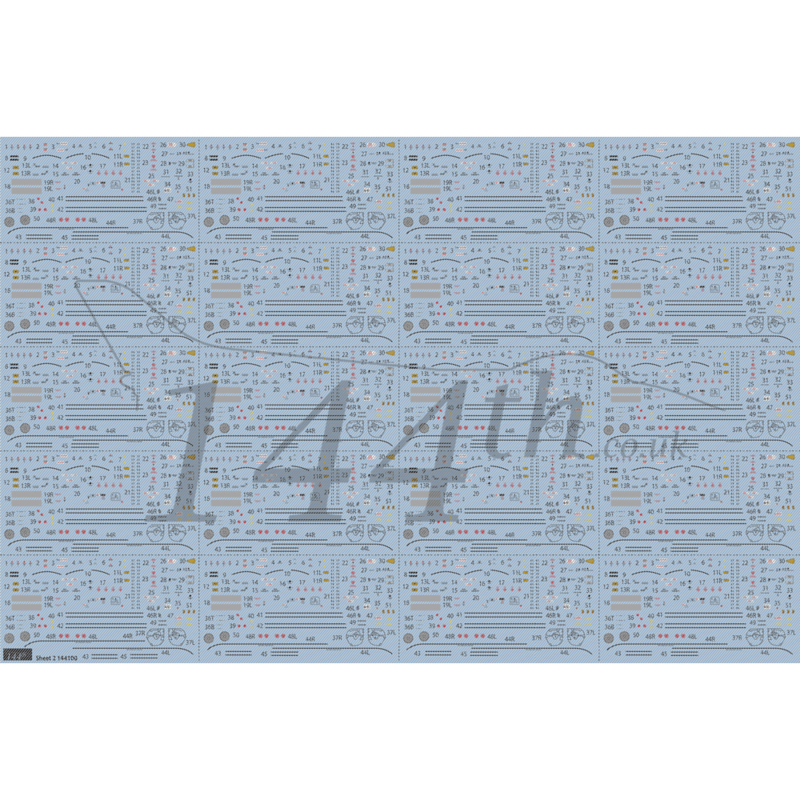 This set has 2.5 A4 sheets, with some 3,000 individual maintenance, squadron, and associated markings. 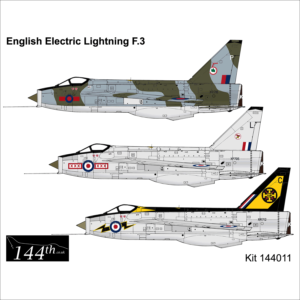 The set enables the modeller to decal 24 complete Lightning models with an option for a further 8 aircraft. 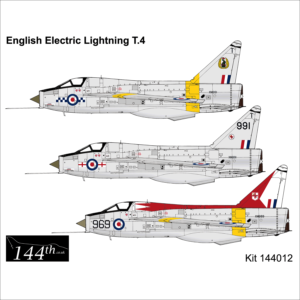 Please note: We are promoting this set at the same price as the Scale ModelWorld launch, to give the opportunity to those modellers that were unable to attend the show.